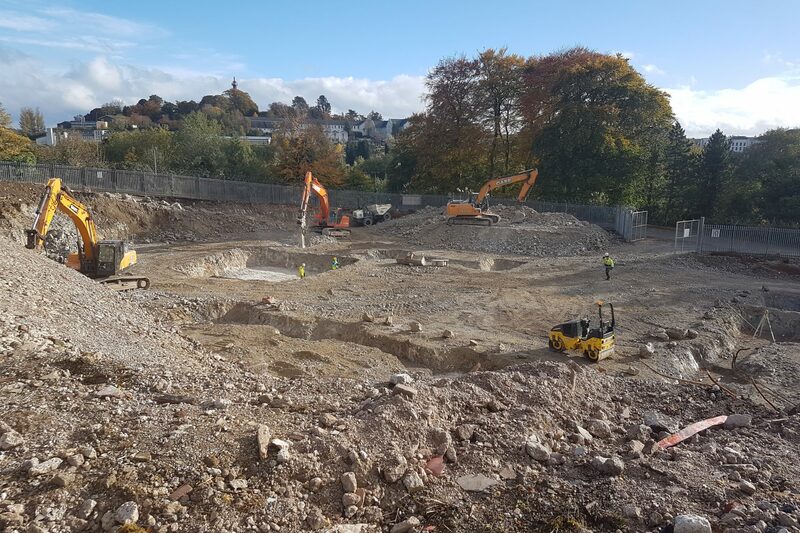 Foundations are in and construction is on programme for the delivery of the Erne Campus at the South West College, Enniskillen. Working with the design and contracting team Semple & McKillop have developed the MEP design in AutoCAD Revit in full compliance with the stringent Employer’s Requirements. This 8,200m2 build shall provide world class teaching and learning facilities. It has been designed to achieve BREEAM Outstanding and Passivhaus Premium and will be the first educational building worldwide to achieve these high international standards in environmental design and construction. Semple & McKillop are delighted to be part of the design & build team led by Tracey Brothers Ltd.